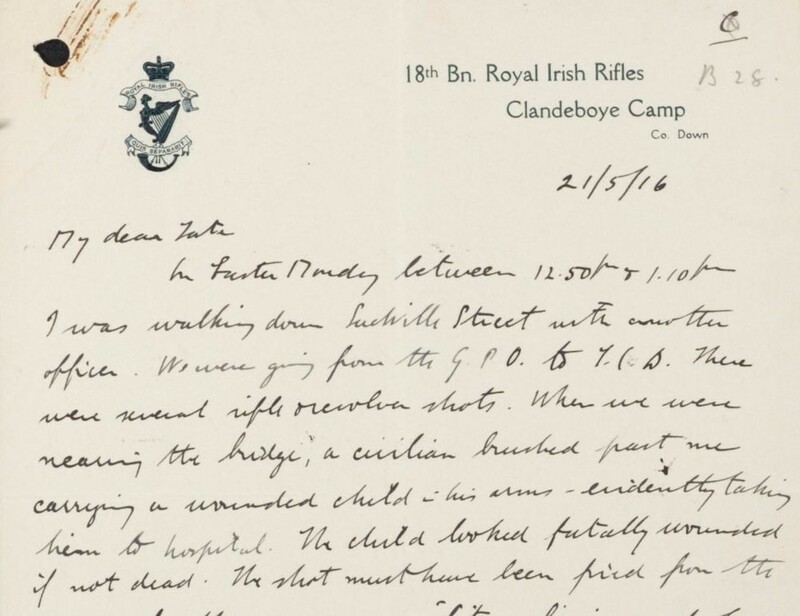 The Easter Rising & Ireland Under Martial Law 1916-1921 collection is unlike any other on Findmypast. 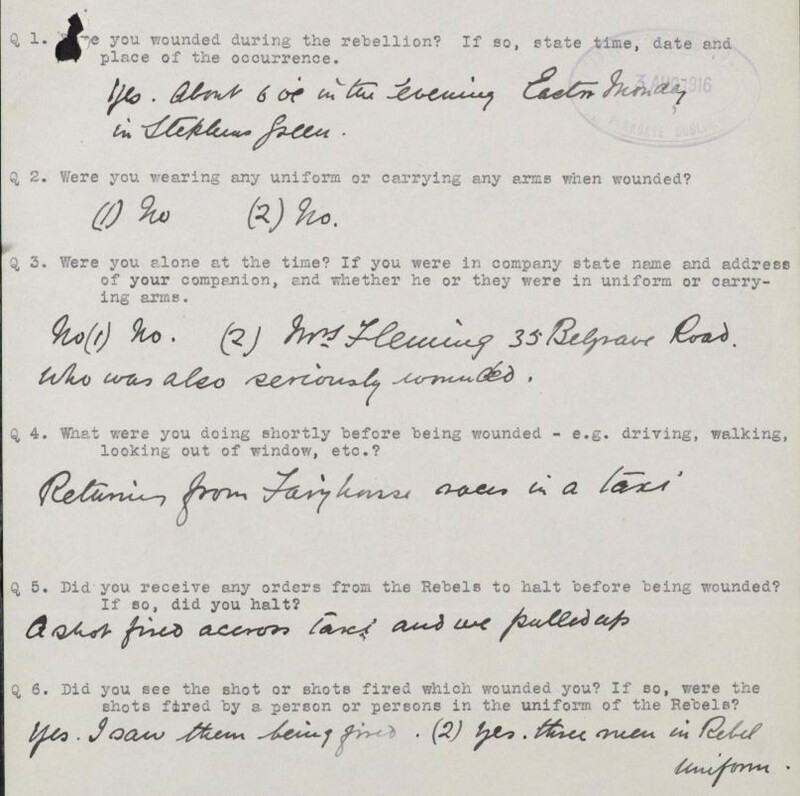 Rather than a set of individual records documenting single people, each document provides highly detailed information on the events surrounding Easter week 1916. There are over 75,000 previously confidential records, including the names of over 5,000 women and 42,000 men, as well as a further 29,000 individuals who are known by their initials or surname alone. Among these are secret communications, witness statements and 25,000 search and raid reports. 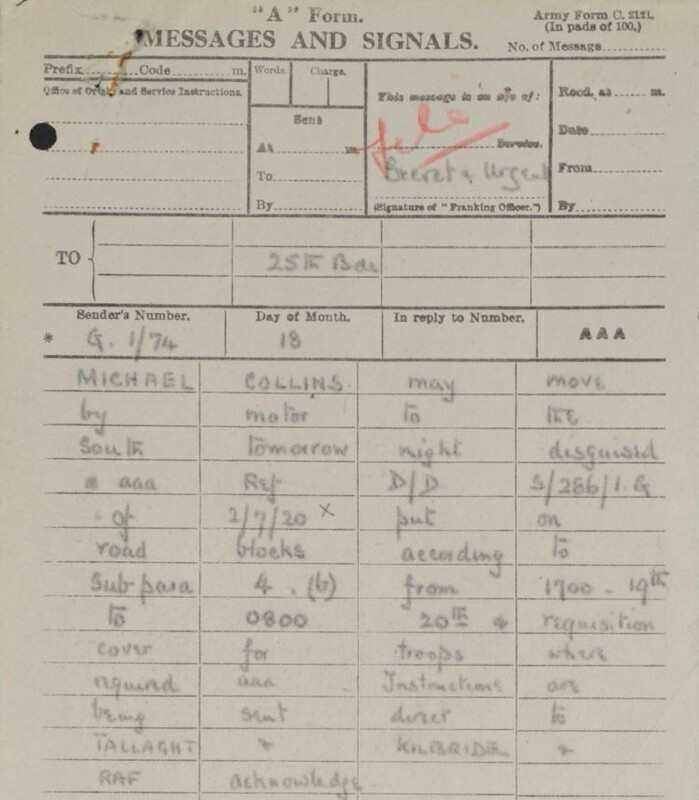 These reports, many of which are typed, contain detailed descriptions of the events on the ground during the fighting. If you click through the images of the reports, you can follow the stories as they unfold, day by day. Perhaps most striking are the stark witness statements from both civilians and police officers describing the loss of life throughout the week. 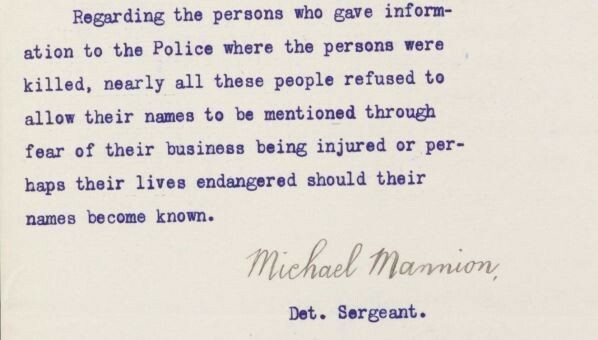 One statement reads: "between 12.50pm and 1.10pm I was walking down Sackville Street with another officer... When we were nearing the bridge, a civilian brushed past me carrying a wounded child in his arms- evidently taking him to hospital. The child looked fatally wounded if not dead." The leaders of the Rebellion appear in many reports throughout the collection, including search and arrest warrants, recommendations for deportation, raid reports and letters detailing their execution. One letter asks what is to be done with the possessions of executed prisoners and those serving life sentences. 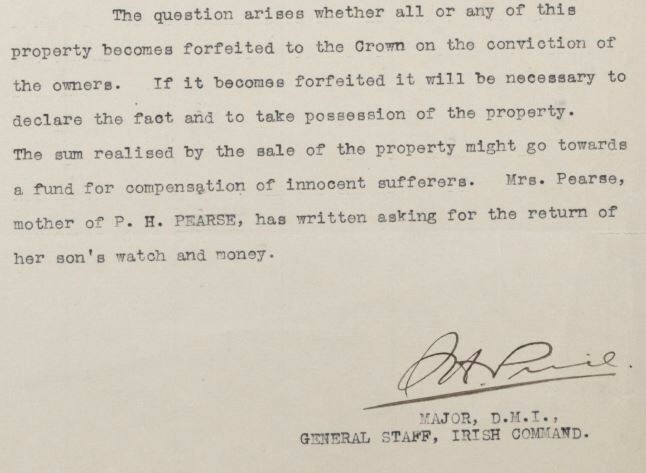 Executed rebel Padraig Pearse's mother had written asking for the return of her son's watch and money. Raids of homes, pubs and factories took place across Ireland. These reports show what was discovered and who was found at the site. 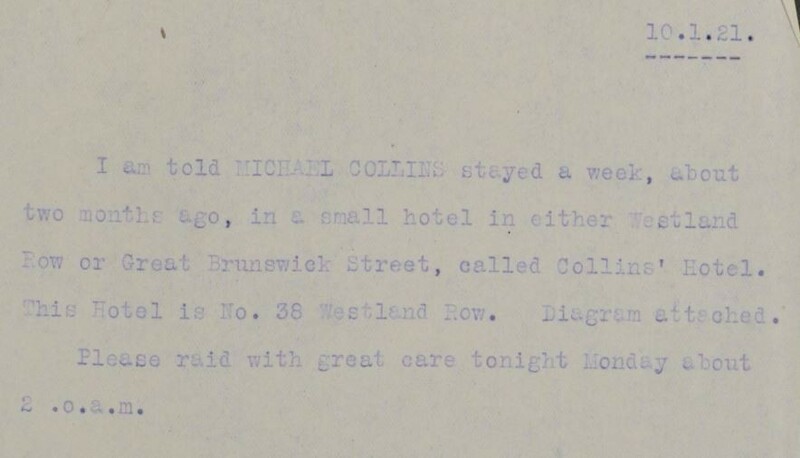 There are also numerous search and raid reports for influential figures such as Michael Collins, with officers warned to expect trouble. Ashe famously went on hunger strike, and died after being force-fed at the Mater Hospital on 25 September 1917. 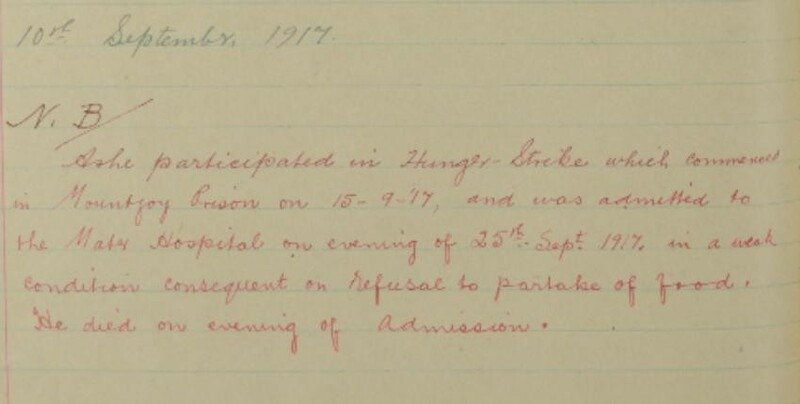 There are pages of reports for many of the people taken prisoner during the Rising, detailing everything from the events surrounding their crime, trial and sentence, to further reports on whether they were later found innocent or commenced a hunger strike while imprisoned.